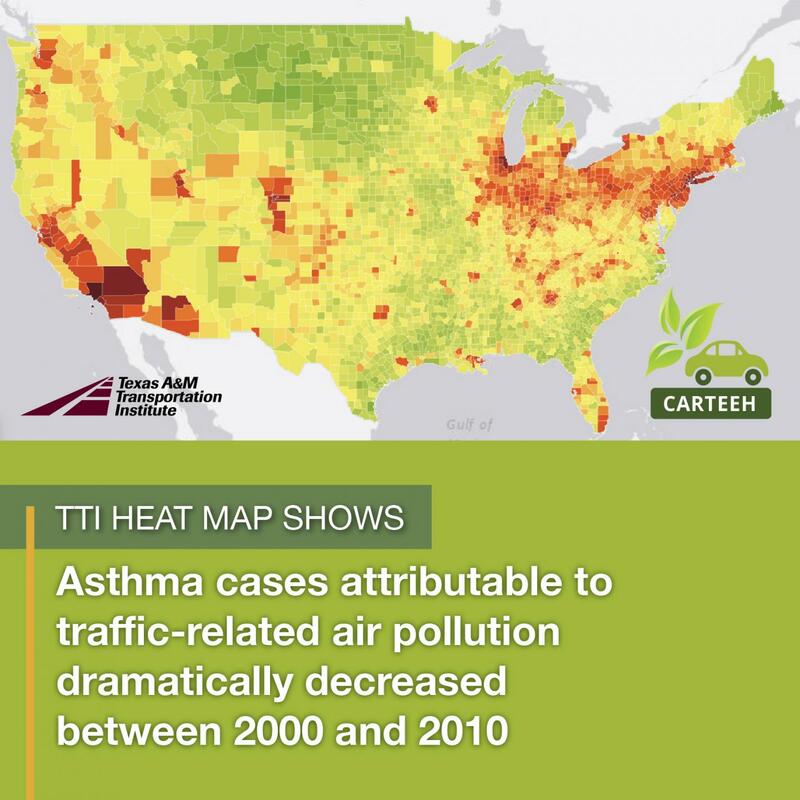 April 5, 2019 (College Station, TX) — A team of air quality and health researchers led by the Texas A&M Transportation Institute (TTI) have created a first-of-its-kind, county-by-county interactive heat map and city-by-city table detailing the distribution of childhood asthma due to traffic-related air pollution across the United States. One of the principal findings is that asthma cases attributable to traffic-related air pollution dramatically decreased over a 10-year period. Funded by the U.S. Department of Transportation’s University Transportation Centers program, CARTEEH is a Tier-1 center focusing on the impact of transportation emissions on human health. TTI leads the CARTEEH consortium, which includes four partner universities: Johns Hopkins University, Georgia Institute of Technology, The University of Texas at El Paso, and the University of California, Riverside. For more information, visit: https://www.carteeh.org/.